In a previous post I added a link to waypoints I have collected over the last year. 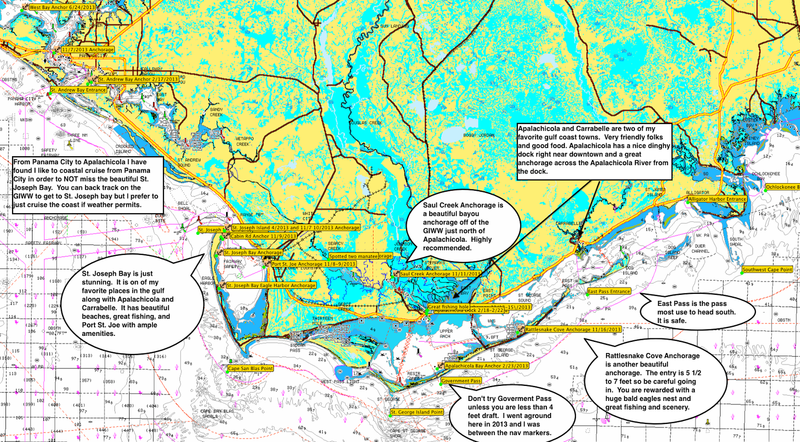 You are welcome to download the waypoint gpx file located there. 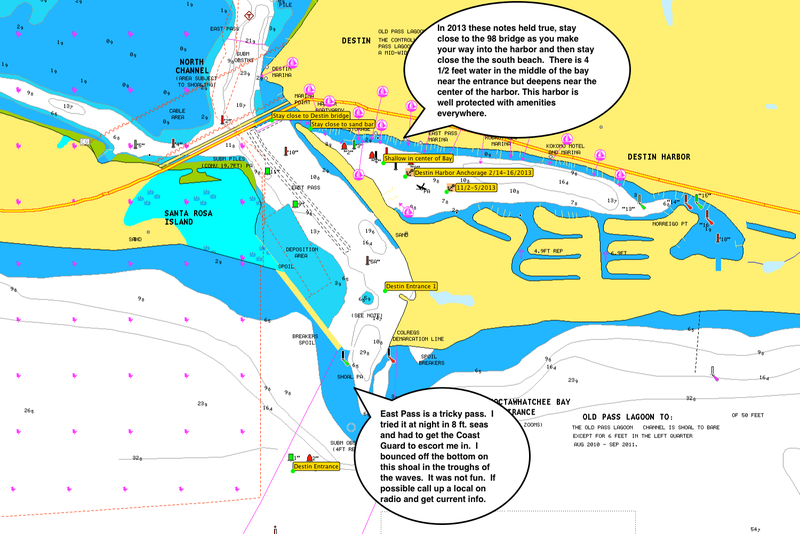 I also thought I would put down a few charts of areas I have cruised with notes attached. 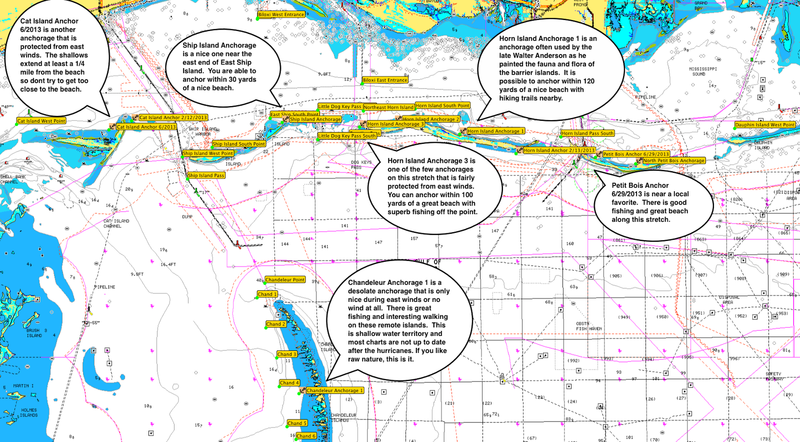 Below are charts of the the Gulf Coast with my waypoints and notes. 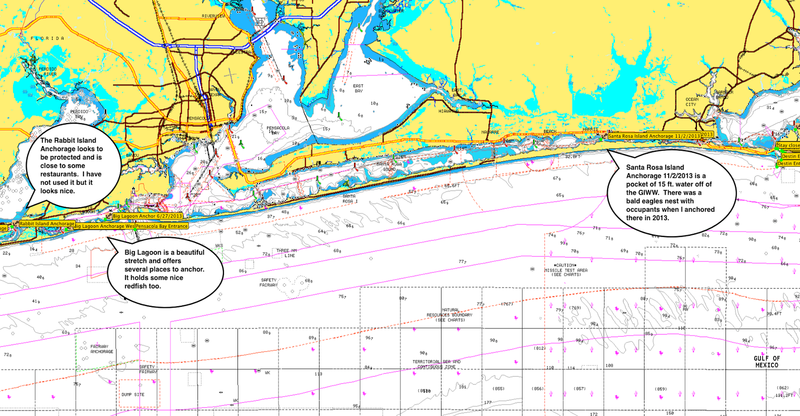 It is challenging to find protected anchorage on the gulf coast barrier islands unless there is a south wind. 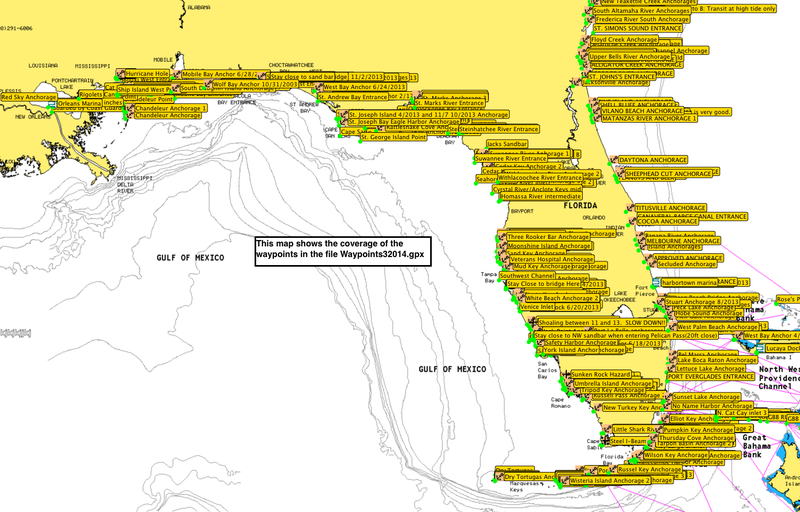 As noted above, there are a couple of anchorages that are fairly protected from an east wind. A west and north wind is problematic. 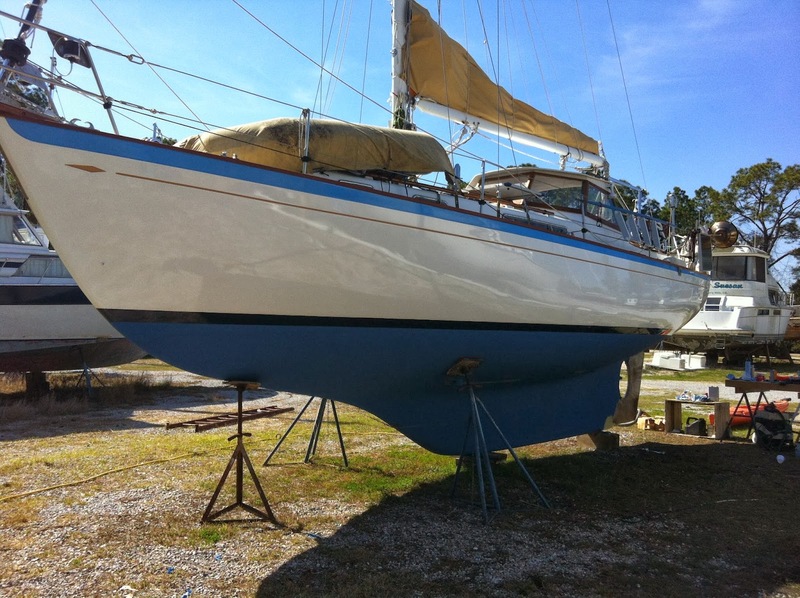 If the wind is blowing from the north, I have found that anchoring in the lee of the mainland is the best option or you could motor up the Biloxi River. There is current running through the cuts of the islands and I don't anchor in them. Be careful with the bridge clearance at Ft. Walton and Destin. They are two of the lower fixed bridges on the GIWW at 49 feet. But locals say to not try it if you are 47+ feet above the water. Let me add to the note above about East Pass. The coast guard help came at night in tough conditions when I was experiencing severe sleep deprivation. When I left through this pass during calm weather and rested, it was fine and no trouble to navigate. The Destin harbor entry is a bit tricky in any weather but if you go slow and easy it shouldn't be a problem with a moderate draft. I carry 4.2 feet draft. If you are heading on to the bay through North Channel, be careful at the bridge here. It is lower than most of the fixed GIWW bridges at 49 ft. vertical clearance. 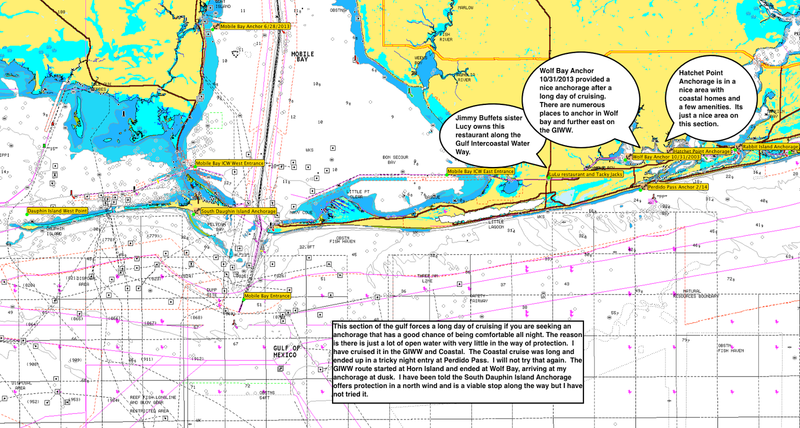 The GIWW from Panama City to Apalachicola is interesting. I didn't run into any problems on this stretch. 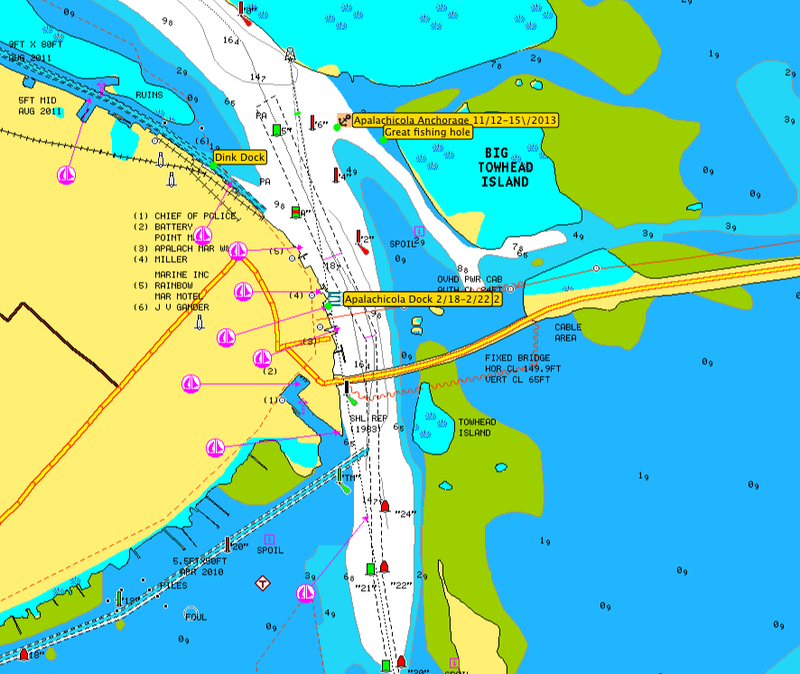 Then only nerve wracking section is through Lake Wimco where the channel is fairly narrow and the nav markers far apart. It shallows very quickly out of the channel here. But the scenery of cypress trees,spanish moss, and bayous is nice. 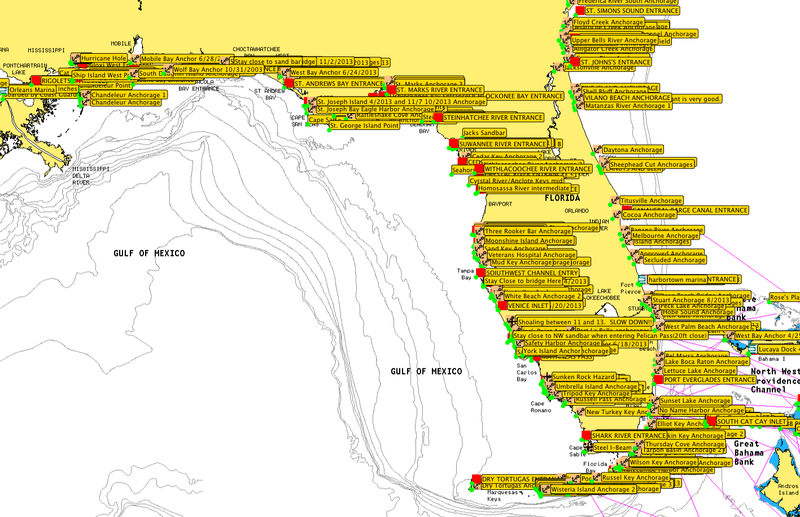 I have collected over 600 waypoints of designated anchorages, discovered anchorages, hurricane holes, navigational hazards, and general route generating points. 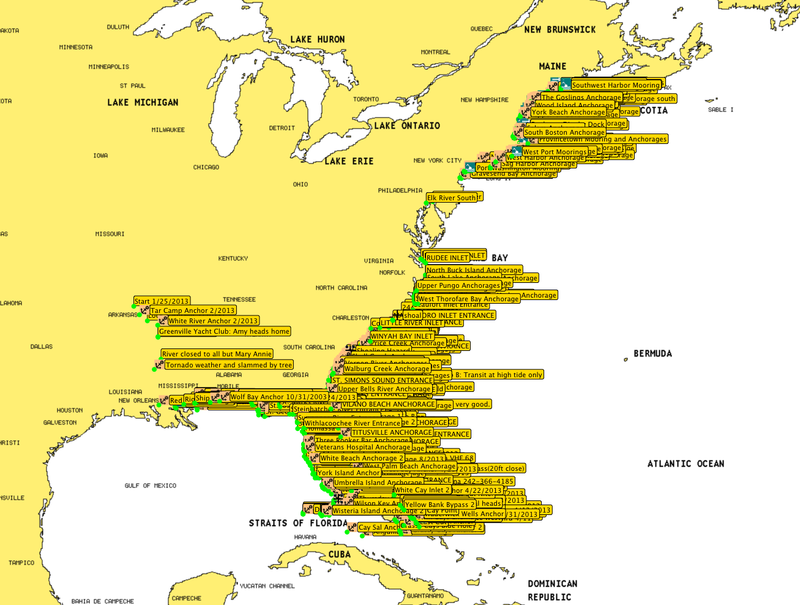 The area covered is from the coast of Mississippi starting at Cat Island eastward to Florida, parts of the Bahamas(Cat, New Providence, Exumas, Berry Islands, and Grand Bahama Island), up the East Coast to Maine. 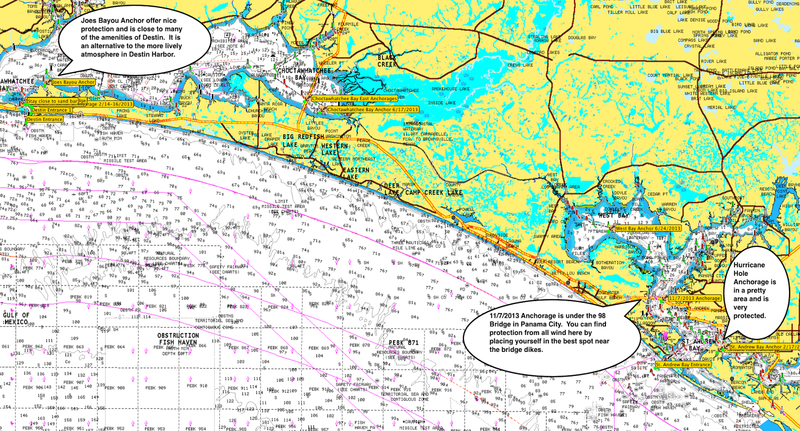 If you would like to download these waypoints, go to the link below and read the instructions on how to download. This web page is my personal site. Use these waypoints at your own risk. 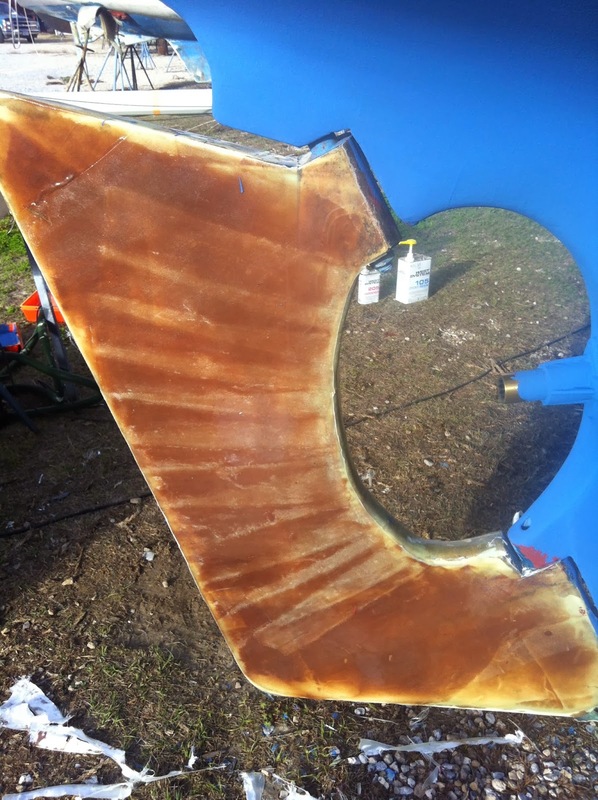 In the middle of applying glass laminate to the rudder and installing new cutlass bearing.